Three Can Campaign Activity Cross the Line? Do Judicial Elections Really Stink? "An important work full of insights and surprises—and one that has significant policy implications." "Judicial independence is one of our most sacred institutional values, and the means of securing it in state courts has been a source of continuing debate. Gibson’s writing is superb, distilling arcane analytical and theoretical issues to show that, contrary to widely held views, people are more willing to accept the decisions of judges when they have the power to reject those who perform poorly, and thus elections build rather than corrode legitimacy. Electing Judges is a monumental achievement." "Electing Judges represents a perfect nexus between theoretically driven political science scholarship and real-world politics. Using evidence from survey experiments while remaining agnostic in the normative debate, Gibson disproves the conventional wisdom about how Americans perceive judges, courts, and the judicial selection process. This superbly crafted work should be the cornerstone of any serious discussion of judicial power and institutional reform." James L. Gibson is an intellectual giant in the field of judicial politics, and Electing Judges may be his most important contribution to date. This is a first-rate piece of scholarship that speaks directly to the central arguments in a highly contentious ongoing debate. For all interested in the judicial selection process, Gibson’s evidence is powerful and simply cannot be ignored. "Simply put, this book provides an extremely important theoretical and empirical contribution to the study of judicial elections and legitimacy. It also contains numerous normative, policy, and institutional implications relevant to how we select our judges in the US. 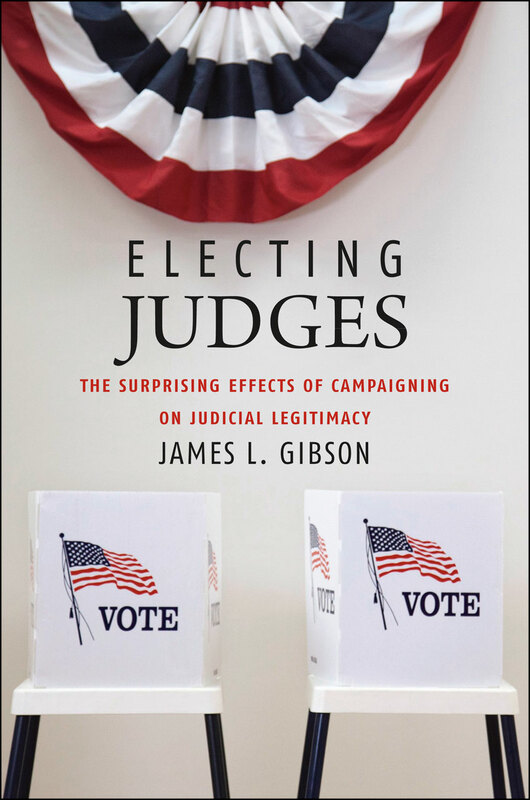 Gibson does a superb job of addressing claims by opponents of judicial elections in an objective, balanced fashion and the variety of research designs and data analyses only boosts the validity of his conclusions. Gibson also does a masterful job of elaborating on the substantive implications of his findings. On the whole, the book is extremely well written, well executed, and well argued."